Voicenizor: This program makes it possible for you to switch between the different voice programs thats being made. With this program you cannot only switch between Ventrilo's but also choose Teamspeak, Mumble or Skype. Multiple Ventrilo's can be opened of the same type. Only Ventrilo's of the same version can be opened at the same time this to keep your passwords saved. This program has been tested on Windows XP and Windows 7. Use on own risk. Install Note: If you have an old Ventinizor installed, remember which ventrilo version you used last. If you never used ventrilo this won't apply. Now uninstall old version and install the new Voicenizor. Features and Changelog can be found following the project link. 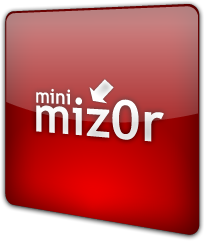 Minimizor started out in minimizing only Quake related platforms but after several version updates minimizor 1.8 allowed for any DirectX or OpenGL application to be minimized. The minimizor is helpful with games that by nature don't have a decent way of minimizing to the desktop. 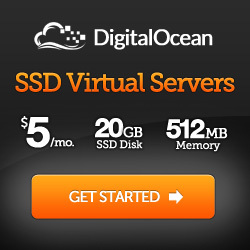 It supports any application that makes use of DirectX 5 to 11 or OpenGL. This new version has been cleaned up a bit and has a more appealing look to it. Main changes to this version are the layout, moving location of the save files to your windows user profile, added support for directX 11 and fixed several bugs that had issue's with selecting the minimize keys. If you run into more problems or got helpful tips let me know on twitter or on the contact page of idcation. To use this program just start it up with no active application being focused using directX or OpenGL and set your hotkey, this can be done in the options menu. When you minimize the game you can get back to normal mode by pressing the same key or keys again. This program has been tested on Vista, Windows XP and Windows 7. Install Note: Best is to uninstall old Minimizor and get a clean install of version 2.0, it's needed since this version saves the files on a different location. On a new install you have to setup your settings again in the minimizor options. Ventinizor: This program makes it possible for you to switch between the different voice programs thats being made. With this program you cannot only switch between Ventrilo's but also choose Teamspeak or Mumble. Supports Ventrilo, Teamspeak and Mumble This program has been tested on Windows XP and Windows 7. Use on own risk. Install Note: If you have an old Ventinizor installed, just install this new version in the same directory. This means just installing this new version over the old one. If this is the first time you install Ventinizor you can install it where ever you want. Since I know abort for a while now I'm happy to support his coding by adding it to my page hope it will work out for you, have fun with what he made. DInput is written to change the use of Windows API coordinates (in games or applications) to Direct Input coordinates. Make sure to read the readme to get it working. + Those games are untested but should be working if they use win32 mouse coordinates. If it doesn't work just add your own profile (instructions are in the readme).